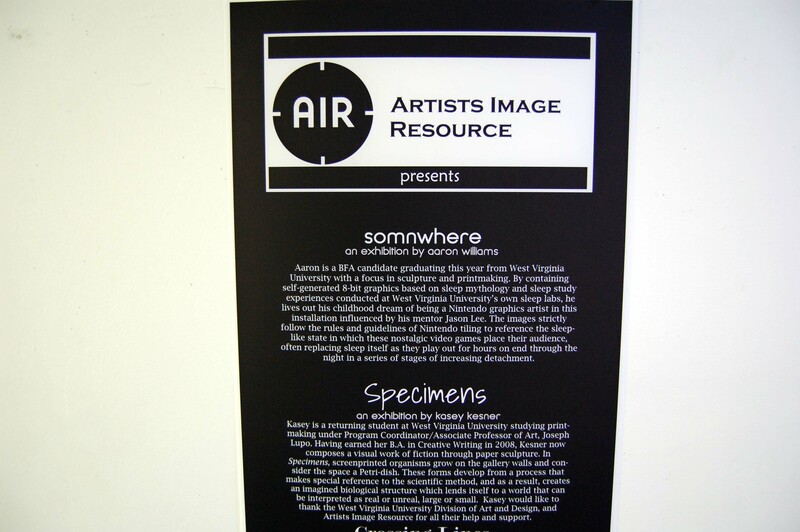 The closing reception of Kasey Kesner’s exhibition “Specimens” at Artists Image Resource in Pittsburgh was last Friday. 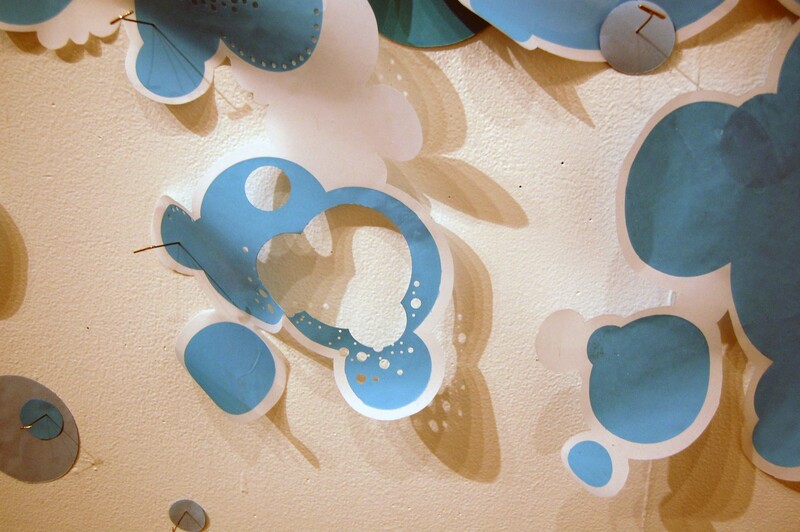 Kasey is an undergraduate printmaker here at WVU. 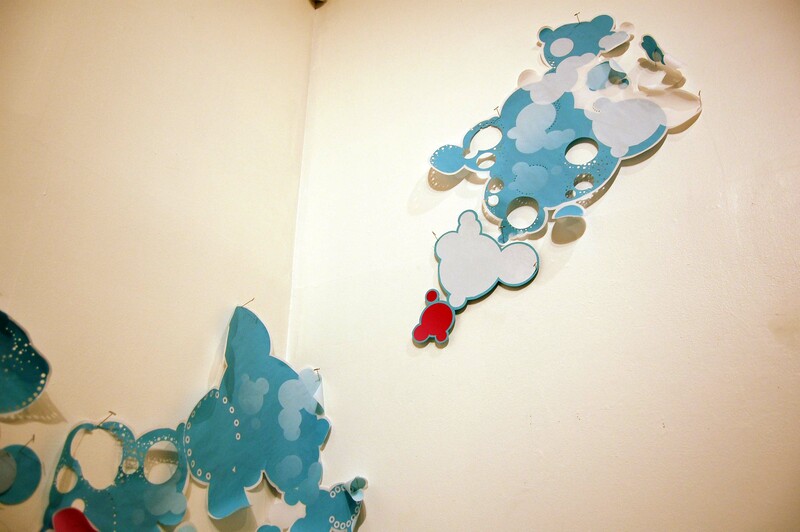 It was a great show, a good crowd, and good music. 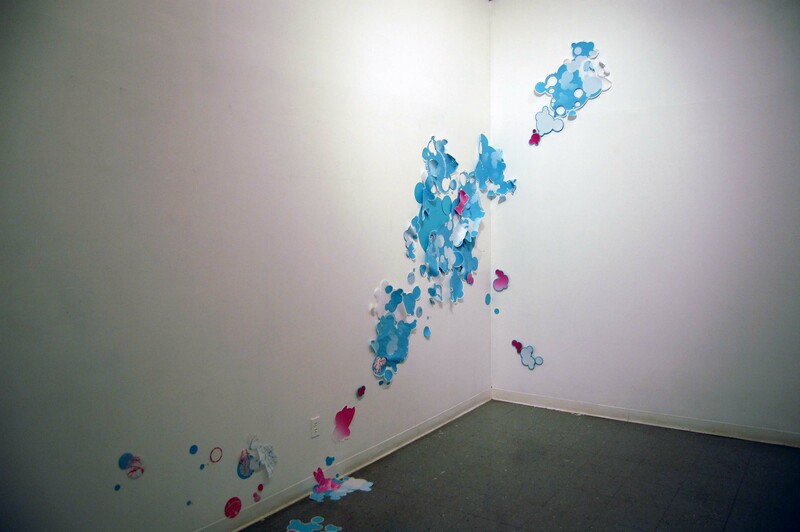 Below is a selection of pics of Kasey’s installation. 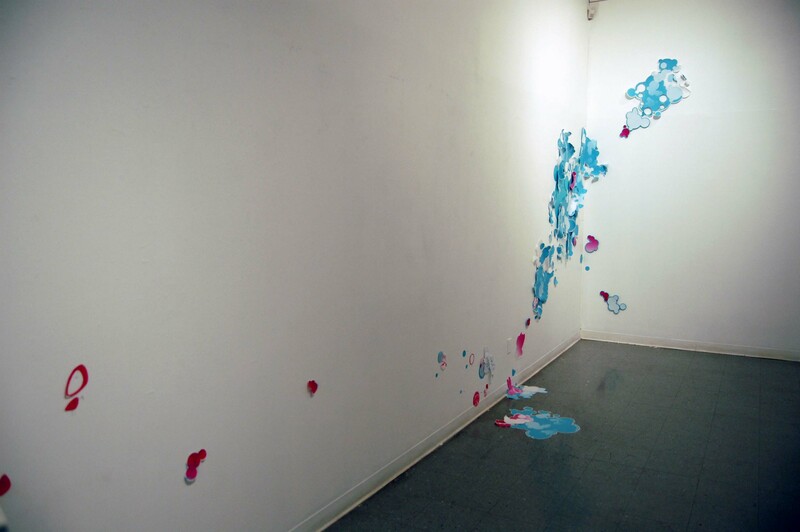 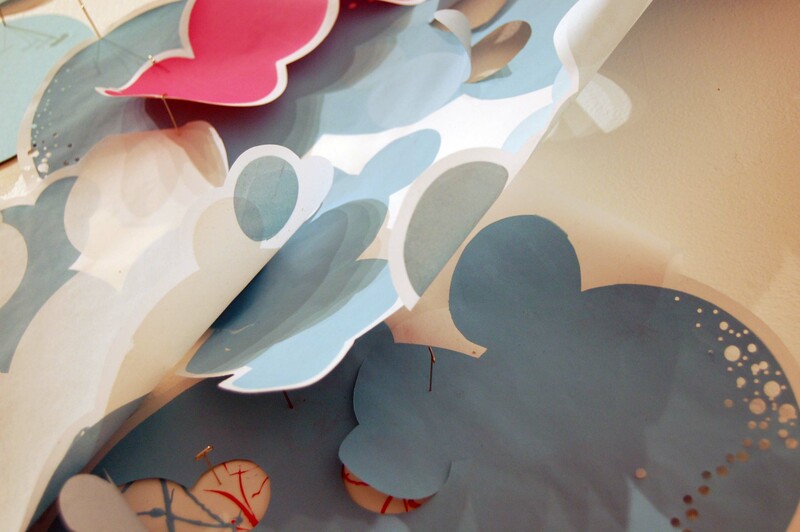 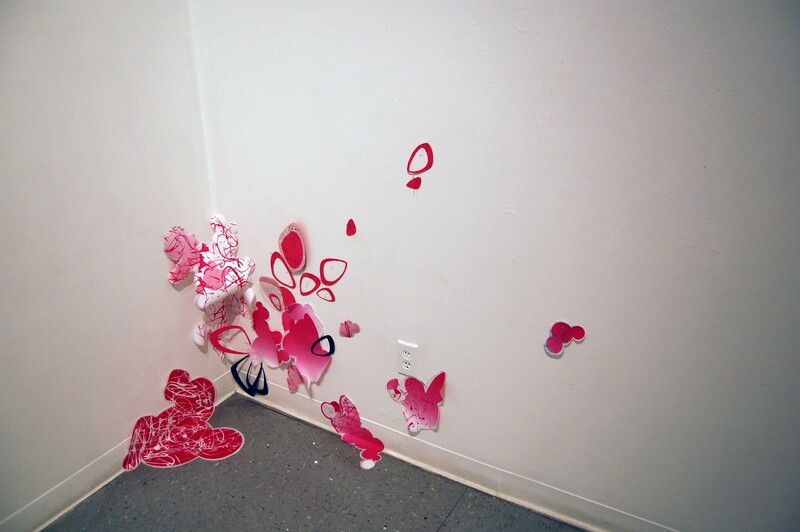 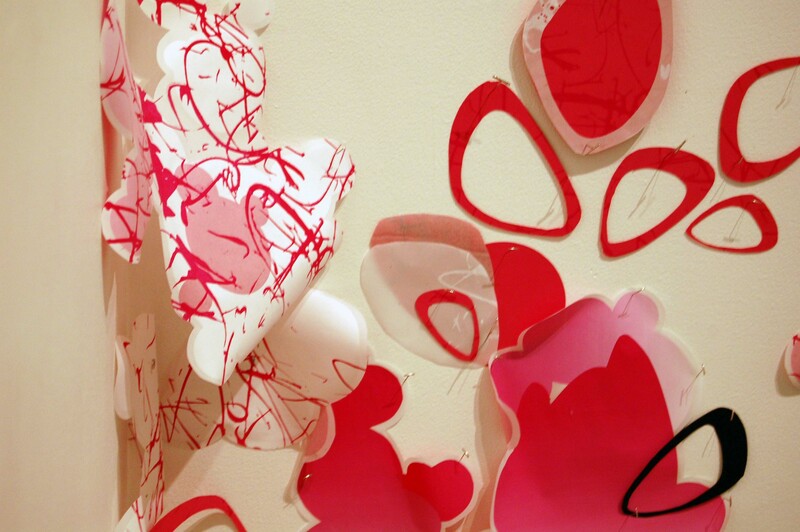 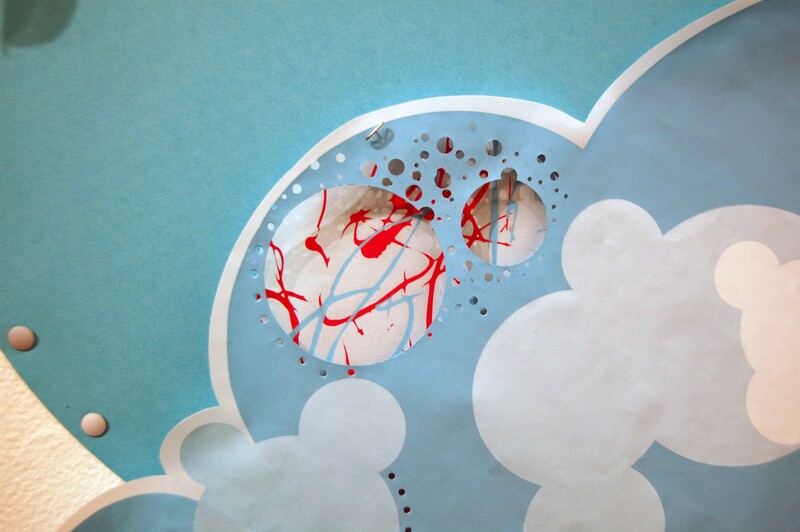 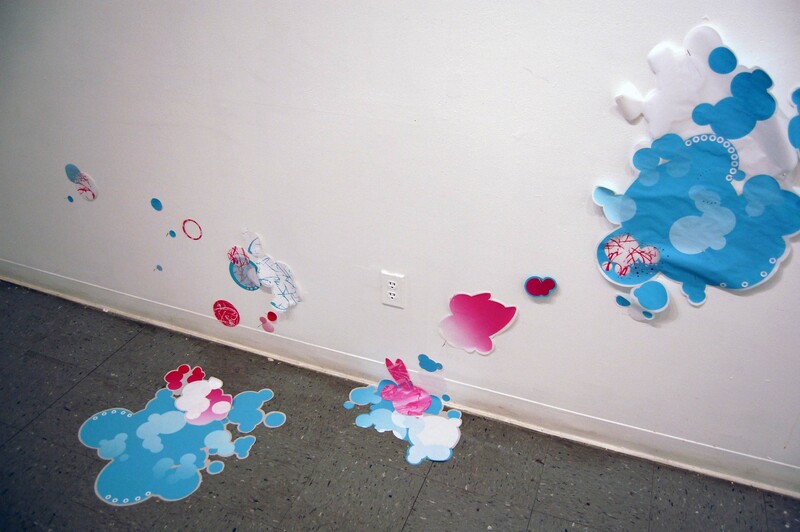 The work is very three-dimensional and is silkscreen, colored and cut paper, pinned and glued to the wall.